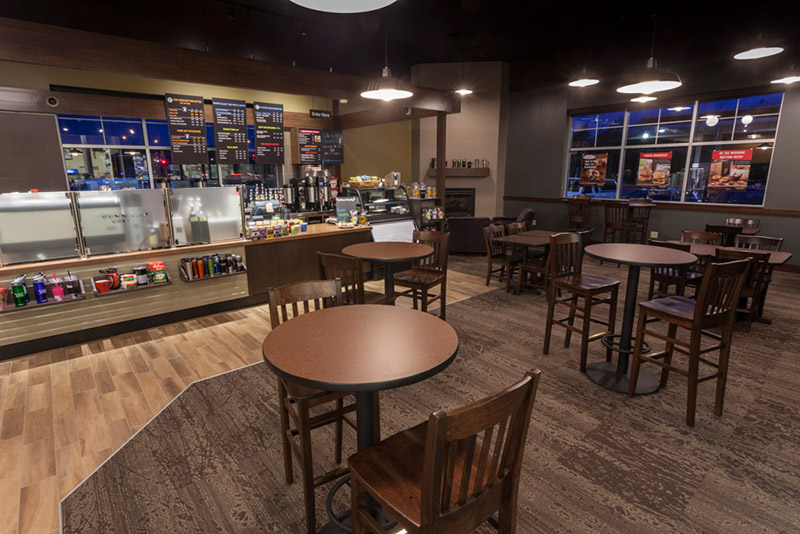 When Dunn Brothers Coffee set their sites on St. Cloud, they looked to Rice Companies for their restaurant expertise. 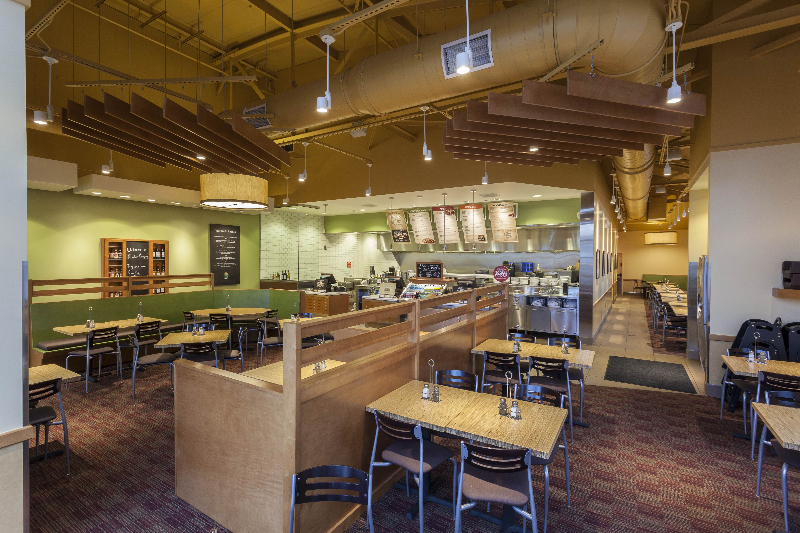 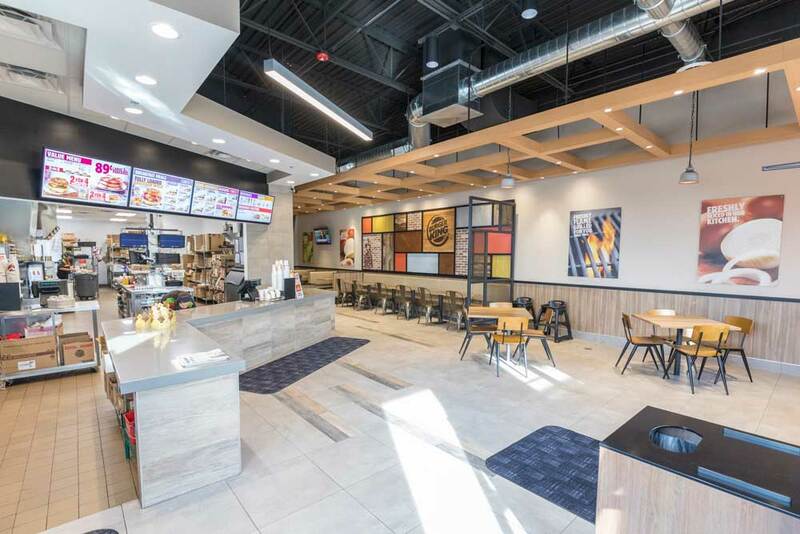 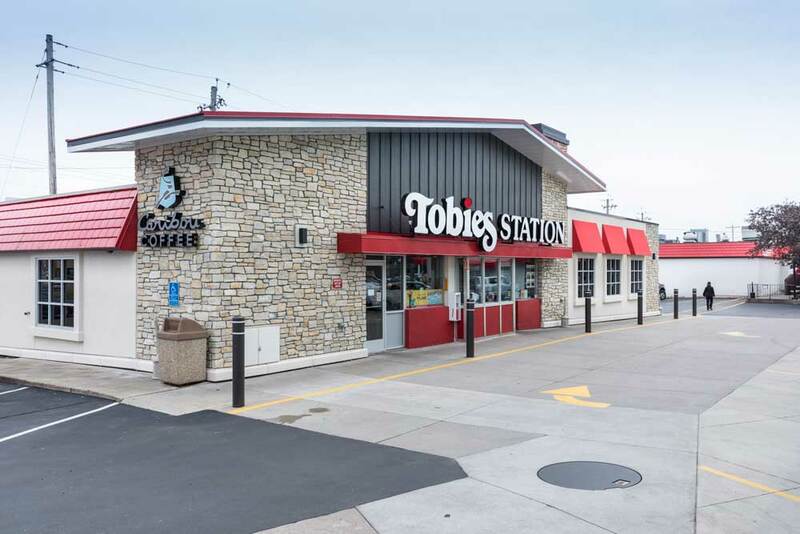 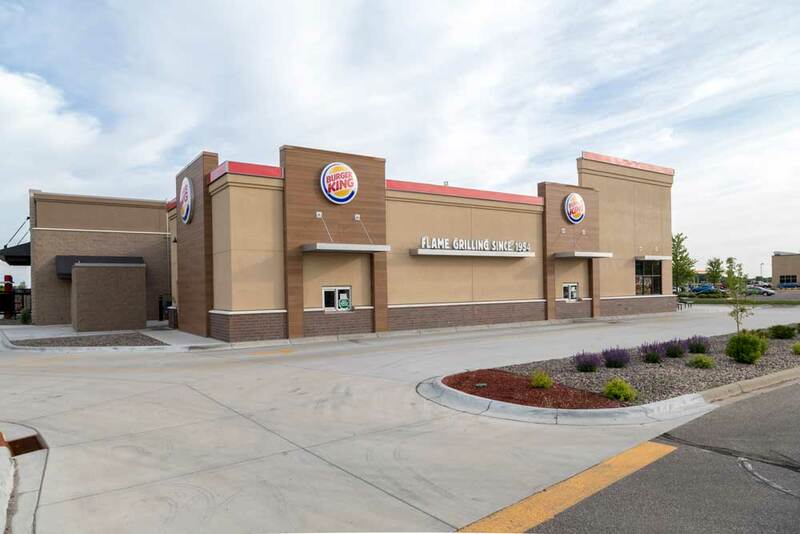 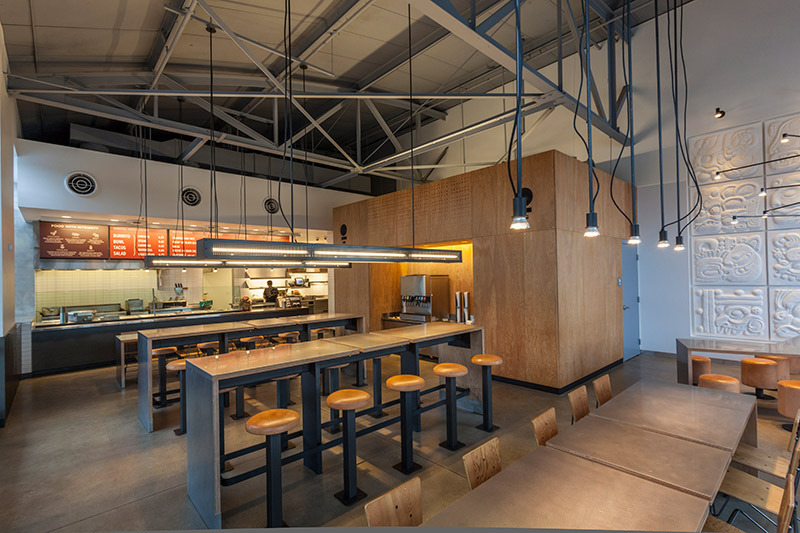 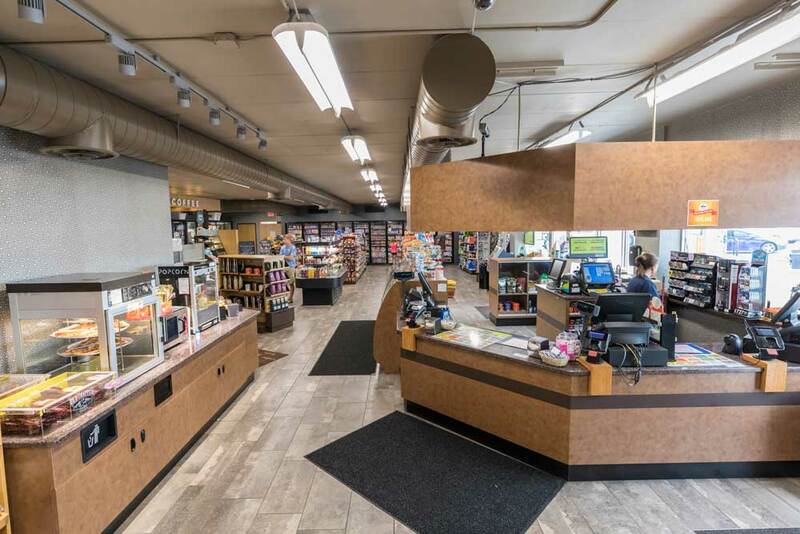 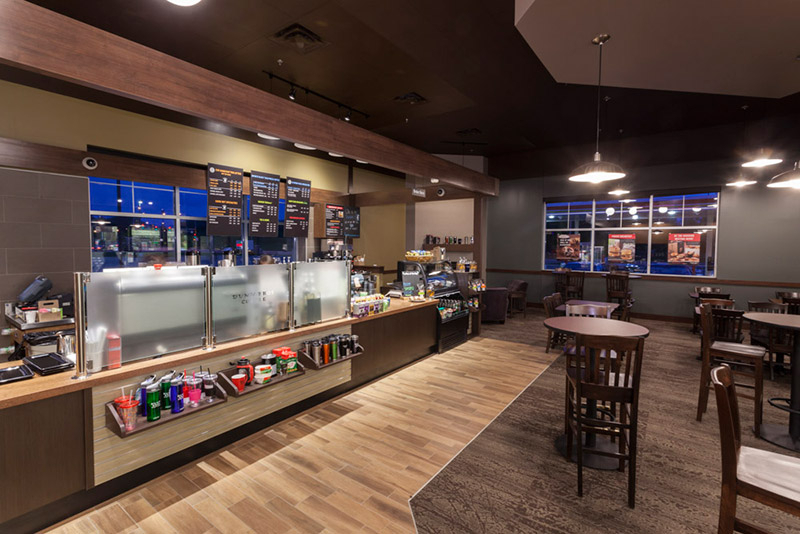 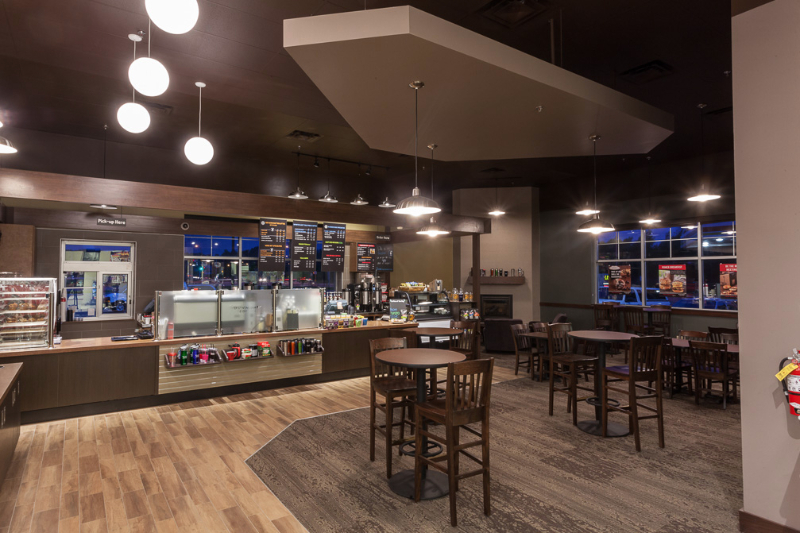 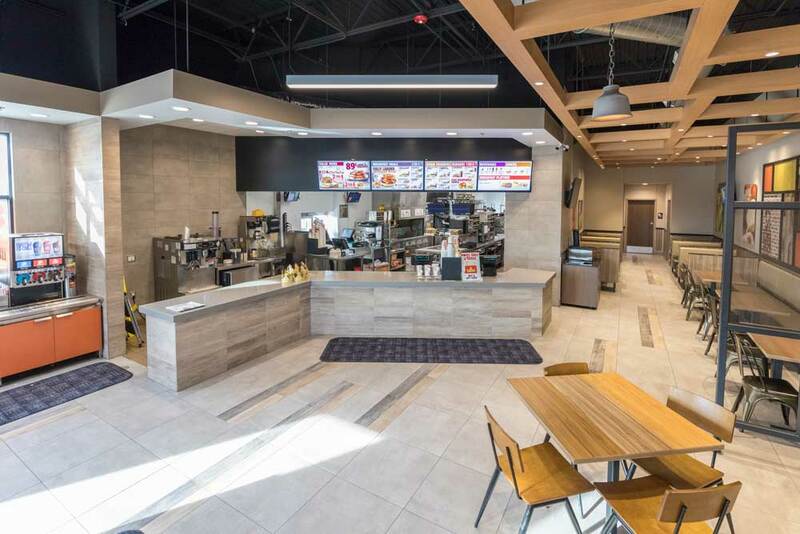 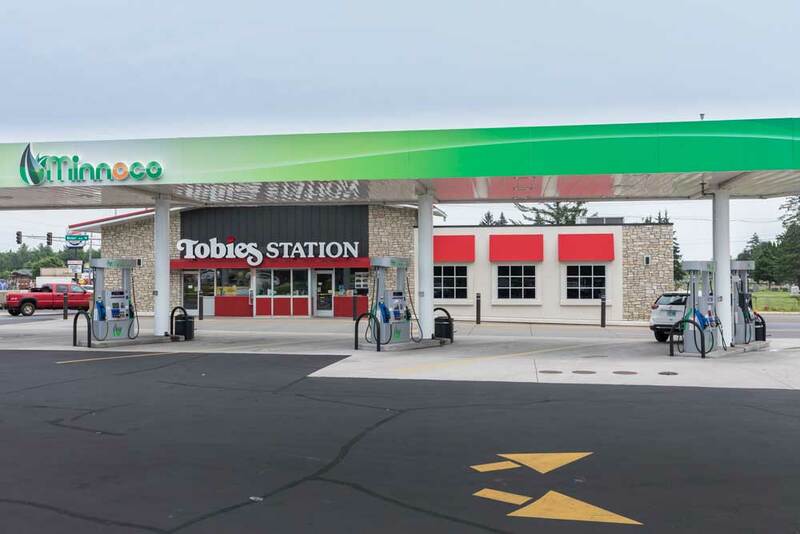 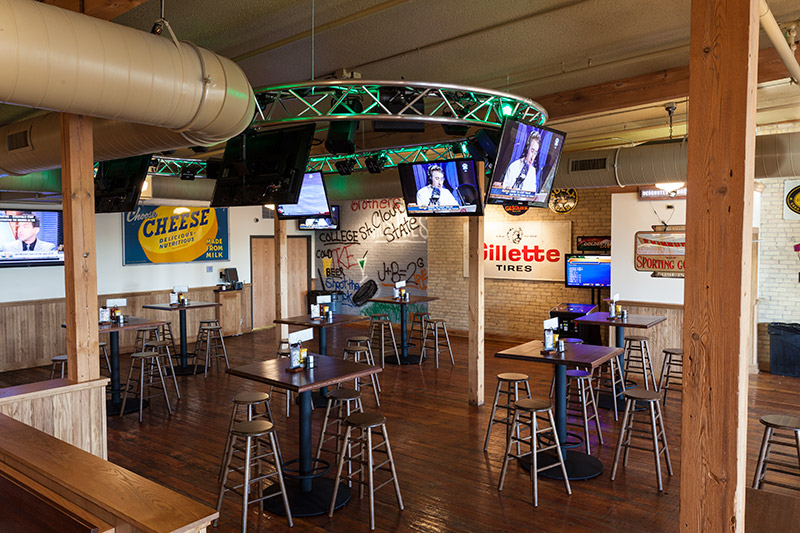 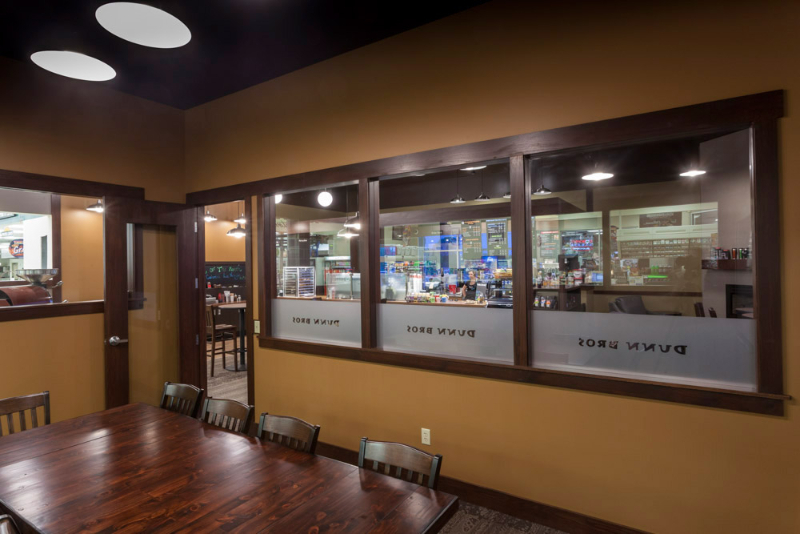 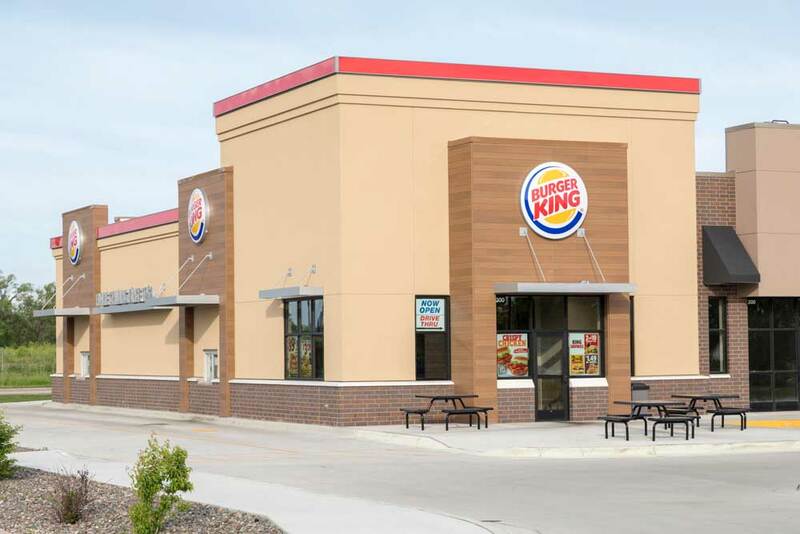 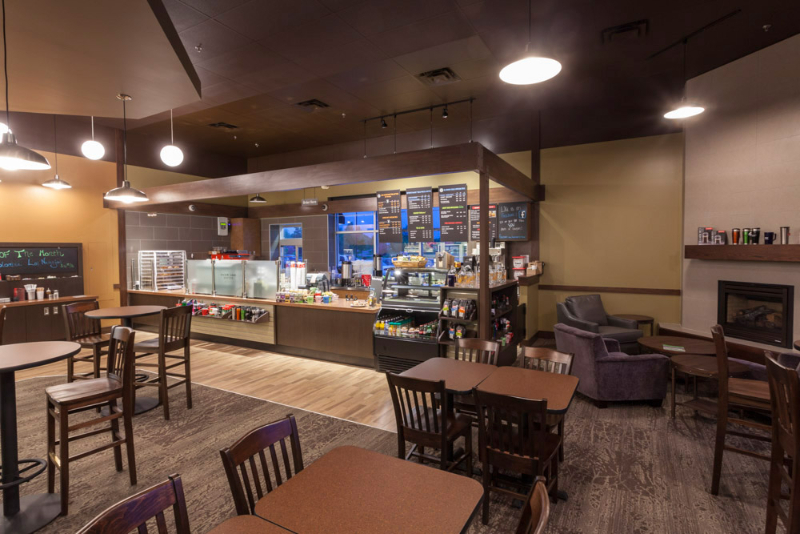 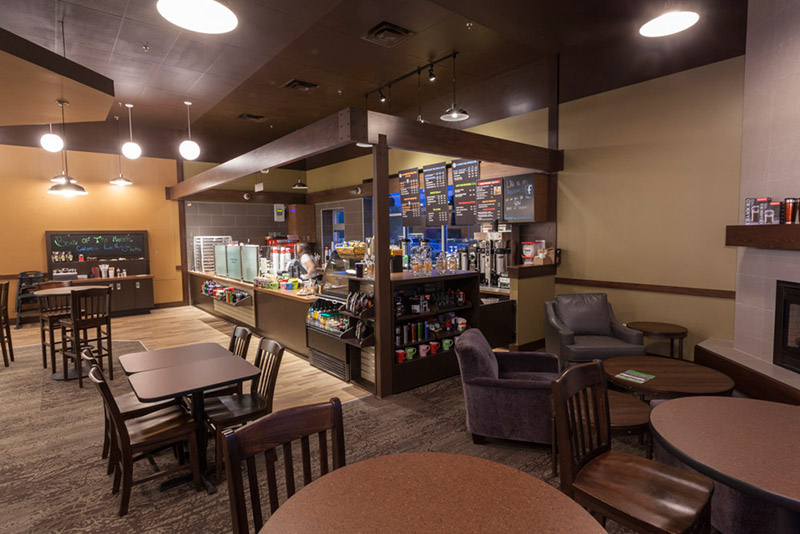 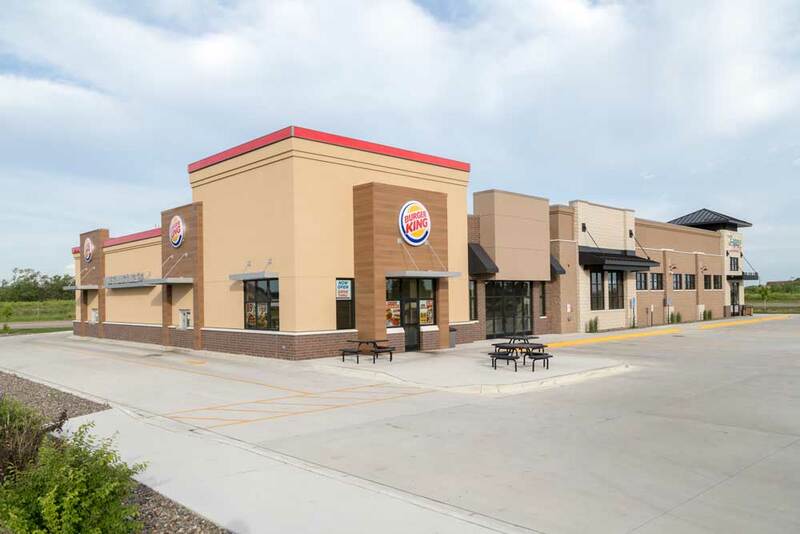 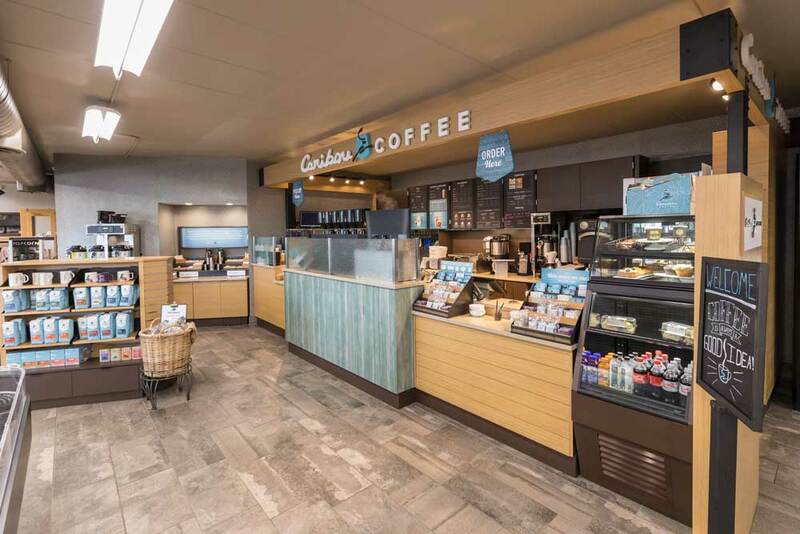 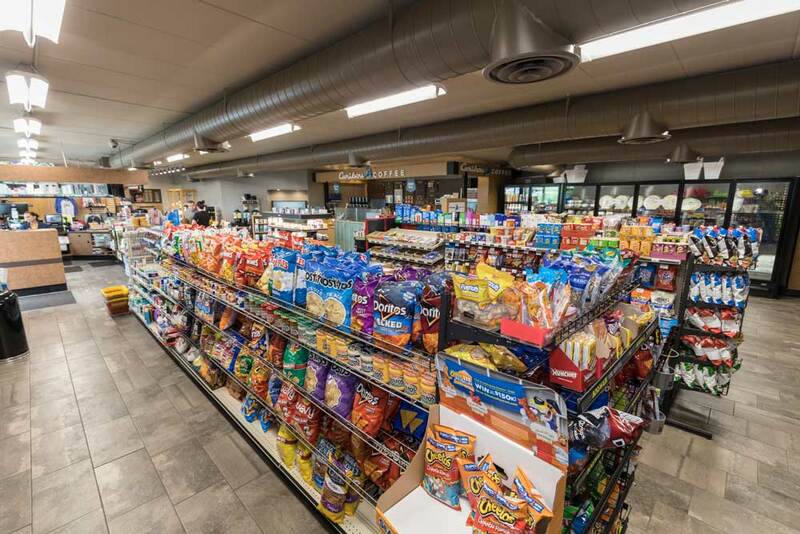 Rice transformed the former video department in the Cooper Avenue Coborn’s grocery store into a 1,500 SF coffee shop with drive-thru and conference room. 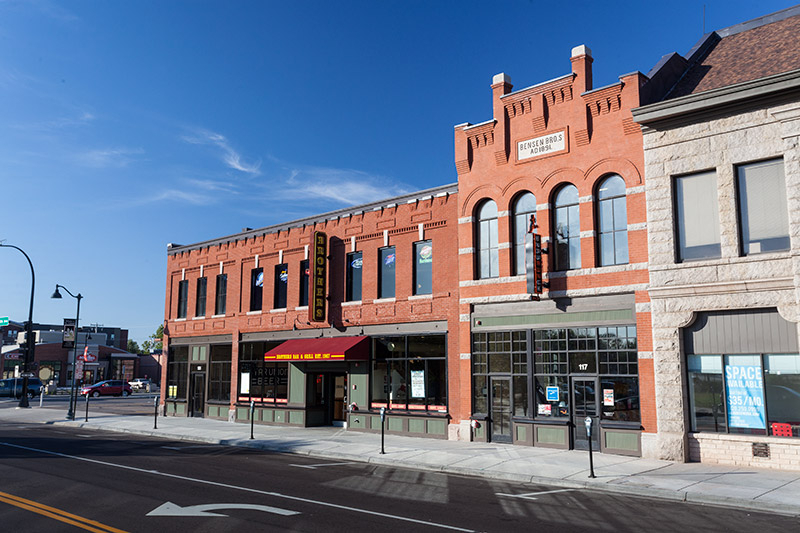 Rice Companies was awarded the contract to preserve a century old historical building as part of the 5th Avenue Live! 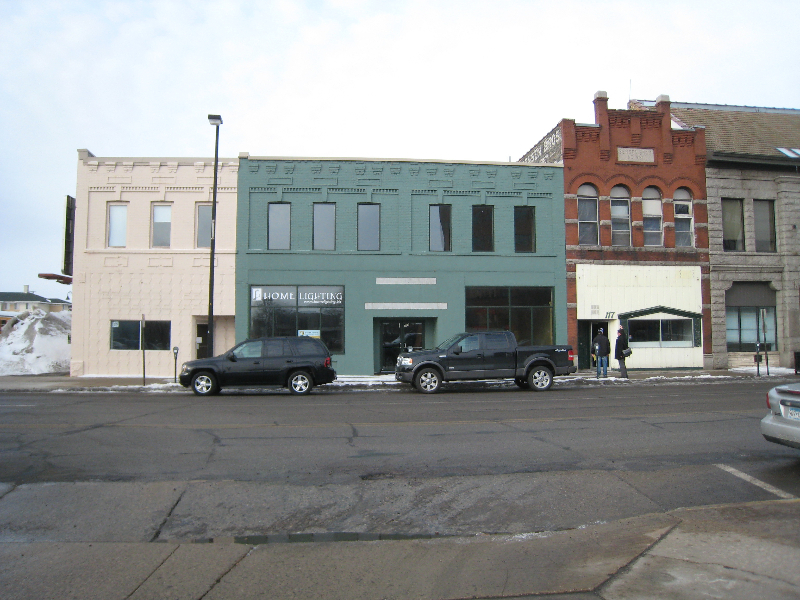 Redevelopment project. 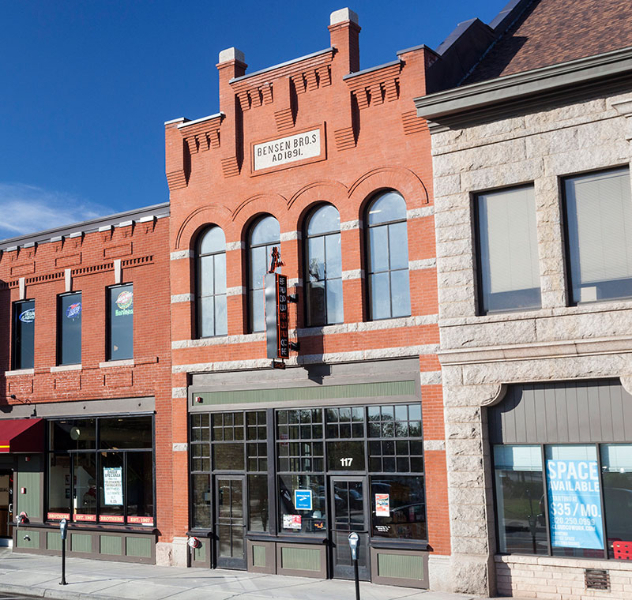 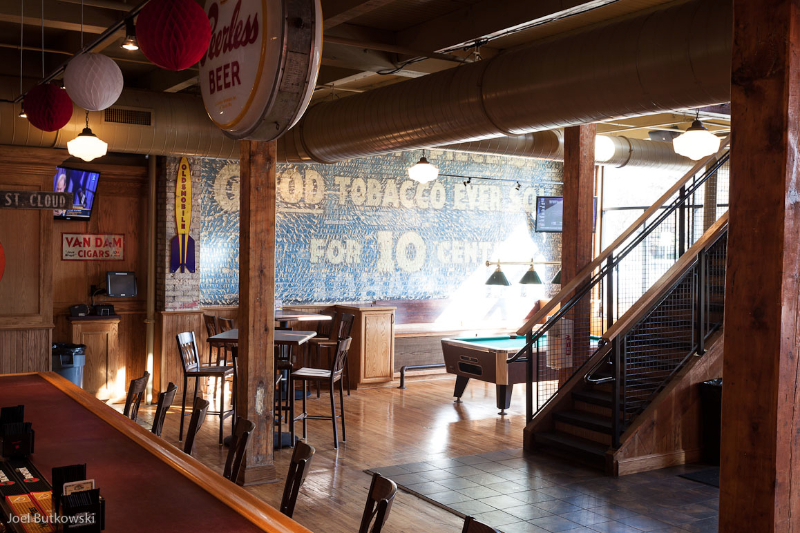 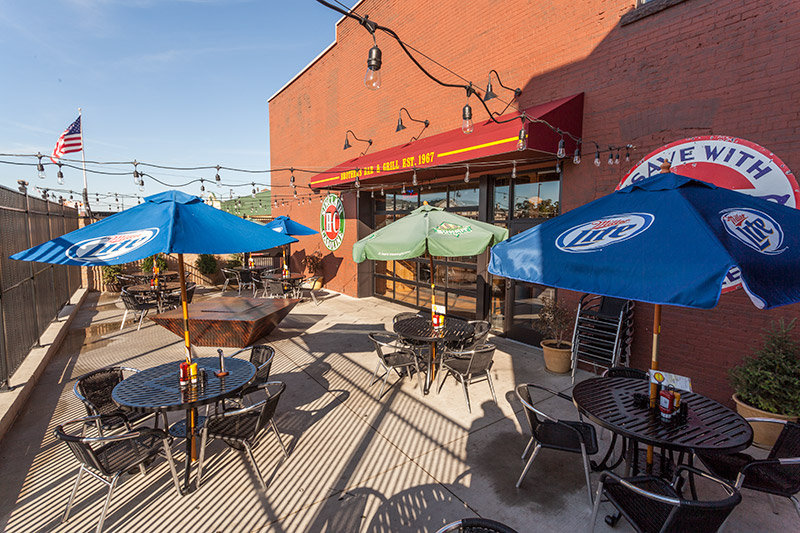 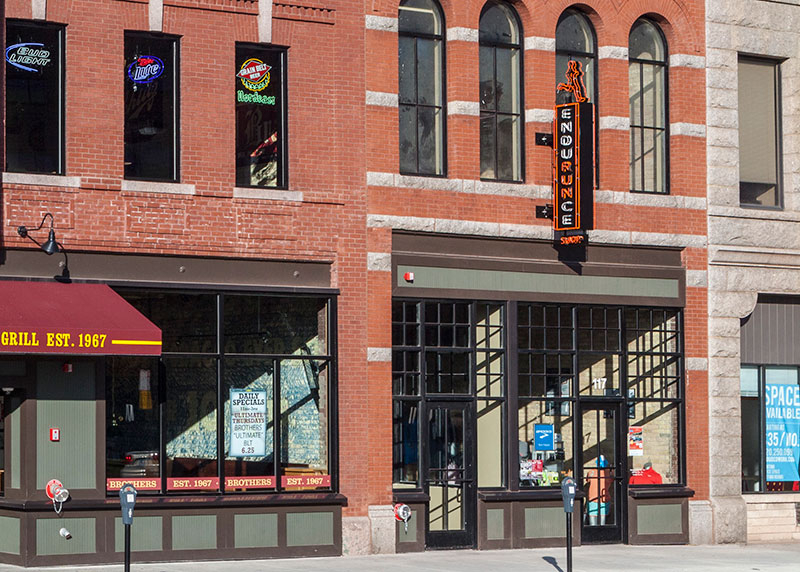 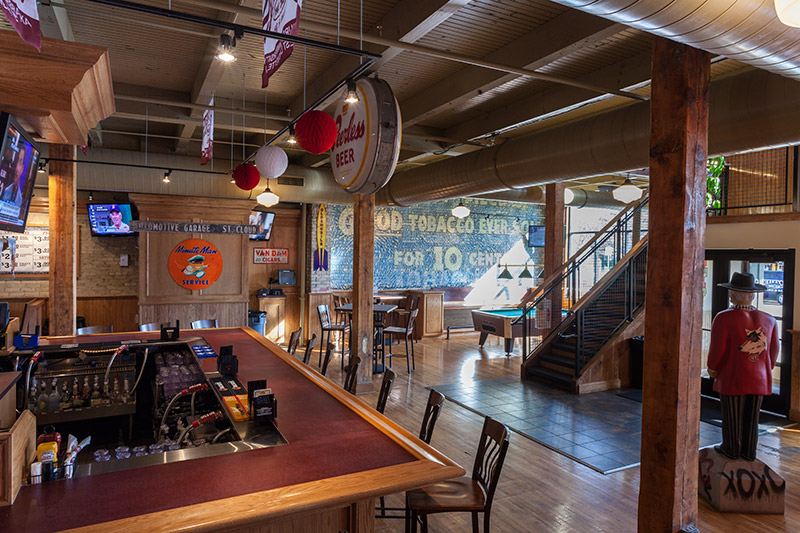 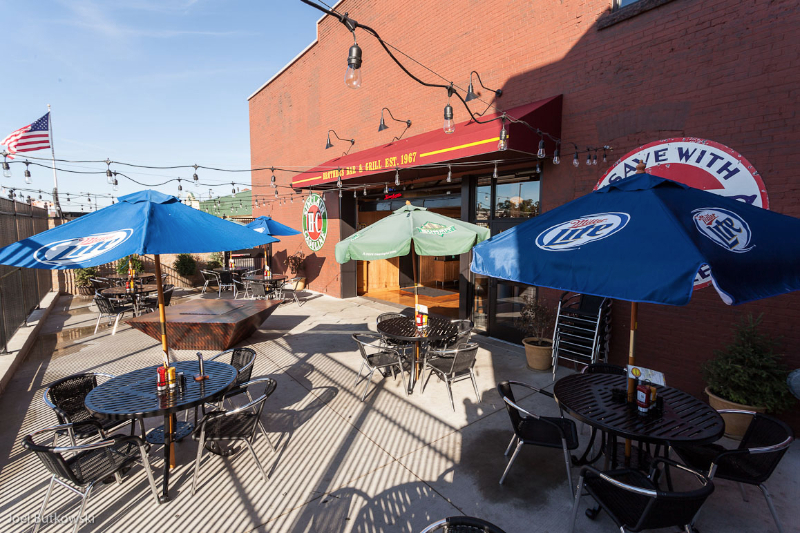 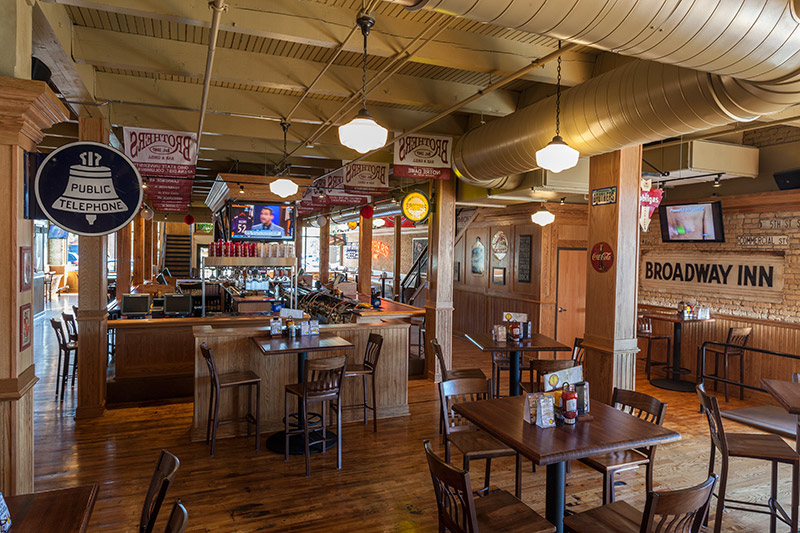 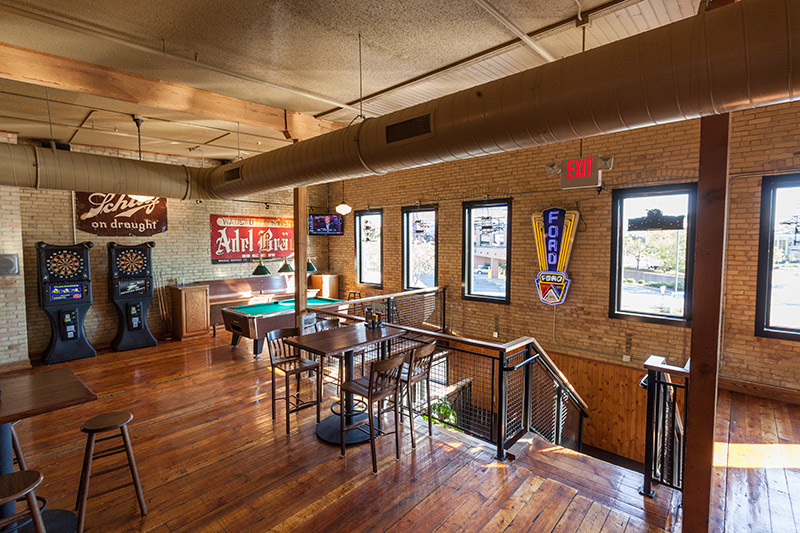 Originally built in 1891 as Benson Brothers Grocery Store, this two-story red pressed brick building is now home to Brother’s Bar & Grill – 10,825 SF – and the EnduRUNce Shop – 2,000 SF. 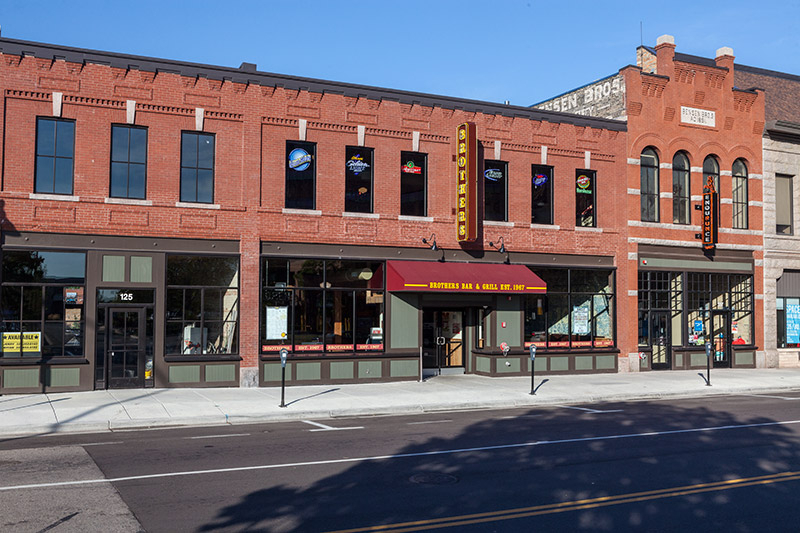 Located in the heart of downtown St. 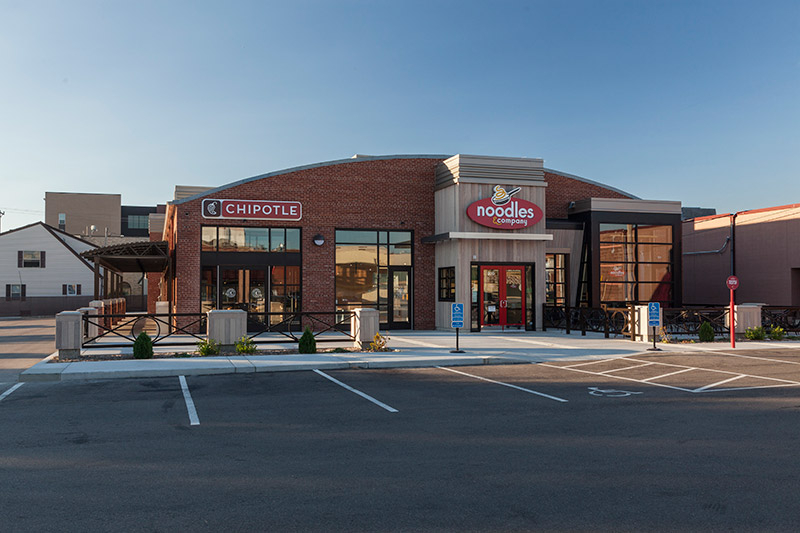 Cloud near SCSU, the West 200 Block is a 9,395 SF multiple-tenant building currently home to Chipotle, Noodles & Company and Verizon. 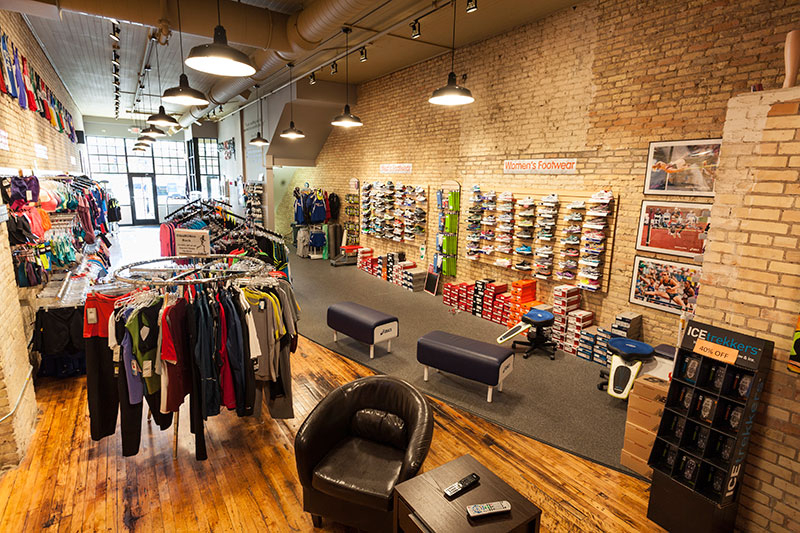 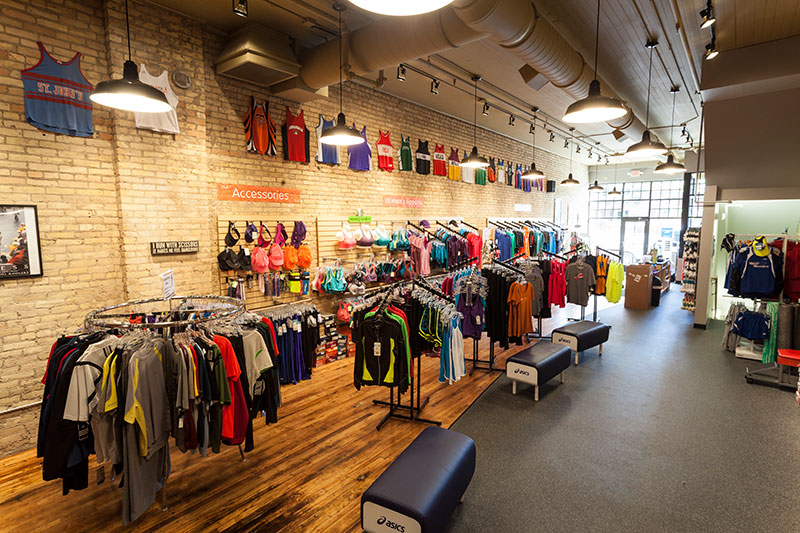 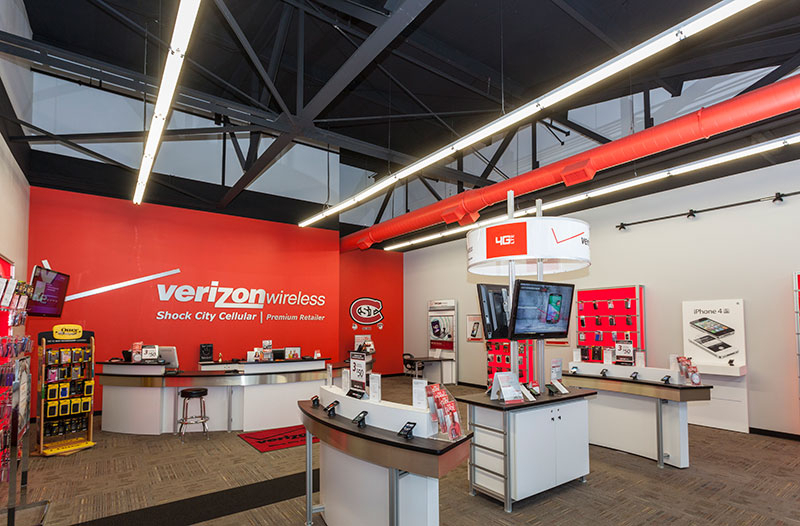 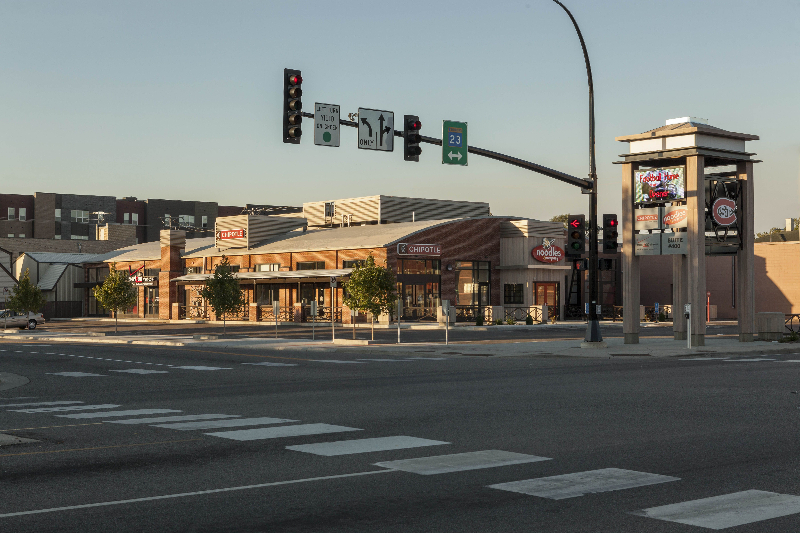 Originally home to the world’s oldest Ford dealership, this repurposed mid-century modern brick structure attracts today’s savvy retailers with a unique blend of interesting spaces, prime visibility and the energy of a vibrant downtown, all while preserving a historical part of the community.